As the recently released DotA 6.70 brought new heroes and a massive number of changes to main gameplay aspects of DotA. In the near future IceFrog will probably release a balancing patch update in form of DotA 6.71 which will be based on balancing/improving the gameplay. There may be no new stuff in upcoming 6.71. Dota 6.71 has been released! I am working on 6.71 right now. It is currently a small update consisting mostly of small balance adjustments, minor bug fixes, etc. This post is created to provide you all the updates about the upcoming Dota 6.71 - We will update this post as soon as any news is available. As of now, You can enjoy DotA 6.70 with two new heroes. 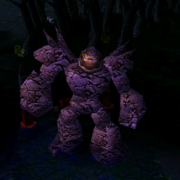 And please, do share your suggestions and requests for the upcoming DotA 6.71 AI. wow merry christmas FIRST BLOOD!!!!! nice ... very very very nice.....it's good for "we"
killing spreee......... nice one ice froggggg weeeeeeeeeeeeeeeeeew!!!!!!!!!!!! y make int heros need new agi heroes they already made sd and thrall for int and theyve made wisp tuskar and pheonix for str. the roflcopter wasnt that awsome so they need like 2 new agi heroes. 2 beat tuskarr, juz use bkb...sure easy 2 kill....not so imba...i've won every game juz using dat thing... =.="
yeah i want it to balance because the 2 new heroes was too imba... their skills and damage are unfair . . .
will there new heroes ? Thank you for your work, IceFrog. im dissapointed, i dont like them much.. no passive skills(since slark appeared) the helicopter thing is more like an int hero though he's an agi hero. LETS JUST HOPE FOR HIGH EXPECTATIONS TO DOTA 2.
nothing imba with the new heroes. if sf would be a new hero, you must be saying that it's imba too. cno kya new char sa 71>? Cant wait! Thumbs up on 6.70! i wish dota2 would be free!! NEW HEROES PLS DONT MAKE IN 1 VERSION 4 IN OTHER 2 MAKE 10 NEW HEROES AND FINISH THAT , AND AFTER MAKING aBOUT 10 NEW HEROES DONT MAKE 3 VERSIONS LATER !!!!!!!!!!!!!!!!!!!!!!!!!!!!!!!!!!!!!!!!!!!!!!! i want hadez will be hero .. brother of zeus. !! there will be no 6.71 :D because of the maximal capacity of maps 8 is and dota 6.70 has 7.6? Tnx ice frog..Happy new year too all. BALANCE BALANCE BALANCE BALANCE BALANCE BALANCE !! what is the definition of BALANCE ? if a map can be really BALANCED, there will not be new map releasing..
2nd skill of tuskaar must be balance. level 1: 40/80dmg. 1 allied hero must be fit on the snowball. level 2: 80/120dmg. 2 allied heroes must be fit on the snowball. level 3: 120/160dmg. 3 allied heroes must be on the snowball. level 4: 160/200dmg. 4-5 allied heroes must be fit on the snowball. 2.) scepter upgradable for ancient apparition. scepter upgradable: increase hp and armor for meepo's clones. 4.) scepter upgradable for leviathan. to increase damage and reduce cooldown. 5.) scepter upgradable for treant to reduce cooldown and mana cost. 6. )scepter upgradable for venomancer to increase damage and reduce cooldown or increase the range of poison nova. 7. )scepter upgradable for silencer to increase silence per second or reduce cooldown or manacost. 8. )visual effect of the ff. venomancer, treant,silencer,leviathan and luna moonfang. 10. change the skill icon for bloodseeker's rupture. nice icefrog. keep up the good work ..
hello. we found some bug in 6.70.. i'm not sure how it came about but what happened was sometime in the middle of the game Yurnero can no longer cast any skills at the same time we cant cast a spell on him. add aghanims scepter on davion pls! nyahOoOoOo..... MissIon sUcCess..!!! i defeat all the charActers in Ice froG UING MY tROlL..!! wHATAMovE.! please fix bug.. bladefury gets stuck but with no damage.. and he still has spell imunity and he cant cast anything. i think that 6.71 will have a new agi and int type!!!!! triple kill will give extra +100 gold. double kill will give extra +50 gold. ultra kill will give +250 gold + 3% of your current gold. icefrog , is it true that there is a new hero in 6.71? io, phoenix and ymir are all strength type. why is that their skills are all active like an int type ? tuskarr's last skill is so imbalance. please increase the cooldown from 18 to 30 at least. and its ice shards i hope it can be targeted to a hero. tuskarr is so powerful.. i can kill hero in lvl2.. plss balance this hero..
make a cool hero not str? Yea... all people just wants new heroes, i think thats too Boring. I want new items , terrain , maybe, just maybe new agi hero / Archer will be imba / and so other things !!!!!!!! :D Good job IceFrog !!! MAKE 4 NEW HEROES THAN STOP IT FOR 3 VERSIONS , I THINK THATS MUCH BETTER FOR ALL ( Heroes Like aaa: Paladin,wendigo, orc fml str hero and others,,,, make frosty spells - fly hero .... SO MUCH GOOD IDEAS TO MAKE dota 6.71 BETTER THAN ALL !!!!!!!!!!!!!!!!!!!!!!!!!!!!!!!!!!!!!!!!!!!!!!!! 6v6 for 6.71 thats all..
hi anyone can help me how to pud dota reply video into youtuve! phoenih 3rd magic,too much range. I LIKE IT.. THANKS DOTA AND THE PEOPLE WHO MADE IT.. THANKS A LOT.. AND MY WISH IS..RELEASE THE NEW MAP v6.71(AI) I WANTED IT...THANKS A LOT. I want that kind of hero!!!! is there any new heroes of 6.71? like ragnar the cudo raider? pls buff lycan! PLS BUFF THE AWSOME EPIC WOLF!!! Hi icefrog..you said that 6.71 is just minor bug fixes so im not expecting new heroes please put some new agi heroes with imba passive skills in 6.72.. the new heroes lately are all skillers..
ICE FROG U MUST ADD MORE SOUNDS AFTER SCORE OF 10-0 MORE THAN HOLY S***!!!!! Initial stats of Tuskar r imba...n u cant deny dat !! Pls make dota 2 a downloadable file on the net and do make some new guides for items and gameplay for dota 2. SIR ! I AM WAITING FOR THIS MAP A LONG TIME ! HOW MUCH LONG AGAIN ILL WAIT!? WE YOU REALLY RELEASE THIS MAP!? what the F !